The new EUTELSAT 117 West B satellite has entered into full commercial service for customers across Latin America. 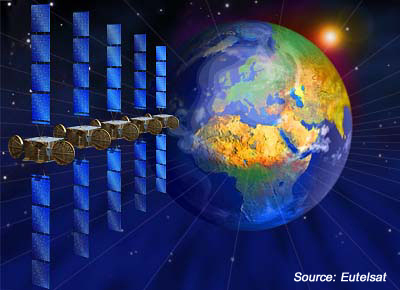 EUTELSAT 117 West B is the second all-electric satellite in Eutelsat’s fleet. It is equipped with 48 Ku-band transponders (36 MHz equivalent) connected to four beams providing premium coverage of Mexico, Central America and the Caribbean, the Andean region and the Southern Cone. EUTELSAT 117 West B also features a new-generation WAAS (Wide Area Augmentation System) payload operated by Raytheon as prime contractor for the U.S. Federal Aviation Administration (FAA), which will go live in 2018. Developed for the civil aviation community, the WAAS payload is designed to receive signals from ground stations that verify signal accuracy and rebroadcast the information to GPS users, including airline cockpits. Eutelsat said its new satellite complements EUTELSAT 117 West A, launched in 2013, to create a multi-satellite neighbourhood at 117° West, which is already used by Millicom’s Tigo Star, Stargroup and Televisa. 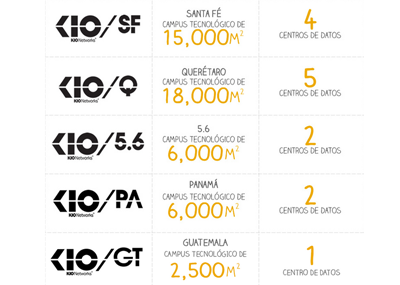 It will also provide key services to telecom operators and government service providers in Latin America. 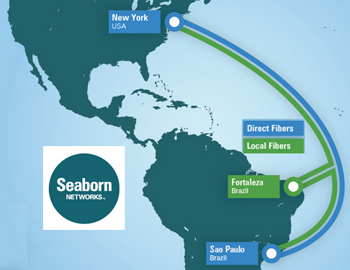 Tata Communications will purchase of significant capacity in Seaborn Networks' cable system between Brazil and U.S.
Larry Schwartz, Chief Executive Office, Seaborn Networks says, "With bandwidth and connectivity growth demand in Latin America at unprecedented levels, we are delighted to have Tata Communications as a strategic partner on Seabras-1. Tata Communications' investment for significant capacity purchase in Seabras-1 is a clear indication of high demand in the market for an express submarine cable route between the US and São Paulo and seamless extension to other geographies in the world." 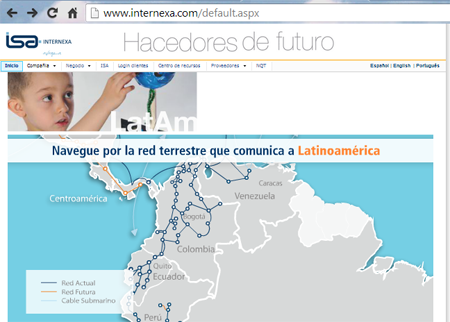 In September 2014, Alcatel-Lucent kicked off construction of US-Brazil subsea cable for Seaborn Networks. A turnkey installation agreement is in force for the six-fiber pair Seabras-1 system, which will boast an initial maximum design capacity of 60 Terabits per second. The Alcatel-Lucent solution to be deployed for this project includes an integrated 100G wet plant of cable and high bandwidth repeaters, power feed equipment, and its 1620 Light Manager (LM) submarine line terminal equipped with advanced coherent technology and offering unique flexibility to increase direct connectivity between countries. GlobeNet, a wholesale provider of Latin and North America data network services, has deployed Infinera's DTN-X packet optical transport networking platform across its North America routes in the Northeast and South Florida. GlobeNet's submarine cable network spans 23,500 km system and offers the lowest latency available between the Americas. The network links cable landing stations in Tuckerton, NJ and Boca Raton, FL, USA, with cable landing stations in Fortaleza (CE) and Rio de Janeiro (RJ), Brazil, St. David’s, Bermuda, Barranquilla, Colombia as well as Maiquetía, Venezuela. 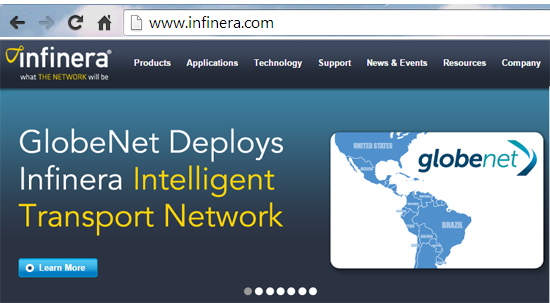 GlobeNet has deployed an Infinera Intelligent Transport Network across its entire U.S. terrestrial backhaul network. The Infinera DTN-X offers GlobeNet the capacity to deliver 100 Gbps coherent transmission today via 500 Gbps super-channels, with a forward-scale design to support terabit super-channels in the future. Infinera said this upgrade provides GlobeNet a network that can deliver over eight terabits per second (Tbps) of transmission capacity on a single fiber. Cisco Capital has established operations in Mexico, expanding its financing capabilities in Latin America. 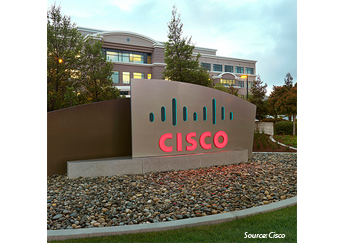 Cisco plans to provide direct local financing to customers, beginning in Mexico, complementing its existing network of financing partners in the region. 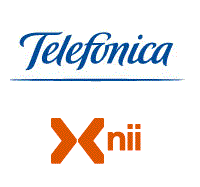 Telefónica will provide wholesale 3G access to NII Holdings' Nextel subsidiaries in Brazil and Mexico. The network sharing deal will provide nationwide voice and data coverage services in Brazil and Mexico for Nextel customers. "The agreement allows both companies to capture the benefits derived from the optimization of infrastructure investment while maintaining the current market structure in both Brazil and Mexico," said Santiago Fernandez Valbuena, Chairman and CEO of Telefonica Latin America. "It is another example of Telefonica's effort to optimize resource usage, improve profitability of the businesses and increase financial flexibility." "Our new agreements with Telefonica will enhance our service offerings by giving us the ability to provide our 3G customers in Brazil and Mexico with services in more areas in those markets," said Steve Shindler, NII Holdings' Chief Executive Officer. "Our access to Telefonica's networks under these agreements will also allow us to utilize Telefonica's networks as we continue to expand our own coverage footprint to provide our customers with service that meets their needs." 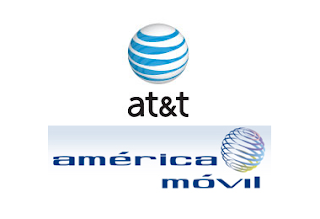 Telefónica said the agreements reached with Nextel are in line with its other recent announcements, such as the agreement signed with Millicom to deploy 4G-LTE networks in Colombia, the MVNO deals with Virgin Mobile in Mexico, Chile and Colombia and the agreement with lusacell for reciprocal use of wholesale services in Mexico that started in 2012. The Orange Group will sell 100% of Orange Dominicana S.A., its subsidiary in the Dominican Republic, to Altice for US$1.435 billion (EUR 1.1 billion). Orange Dominicana was established in 2000 and is now a leading telecommunication operator in the Dominican Republic, one of the largest and most dynamic economies in the Caribbean with an estimated population over 10 million. The company posted revenues of DOP 22.8 billion (EUR 451 million) in 2012 and had 3.4 million subscribers at the end of September 2013. The company employs approximately 1,400 people. Altice is a multinational cable and telecommunications company with presence in six countries—Israel, Belgium, Luxembourg, the French Overseas Territories of Guadeloupe and Martinique, Portugal and Switzerland. The deal requires regulatory approval in the Dominican Republic. 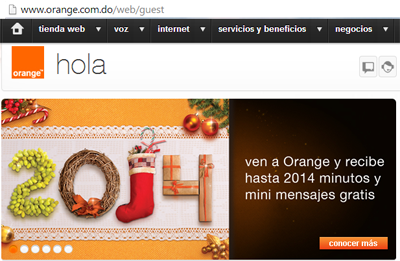 Orange said this sale represents a significant step forward in the optimization of its assets portfolio. 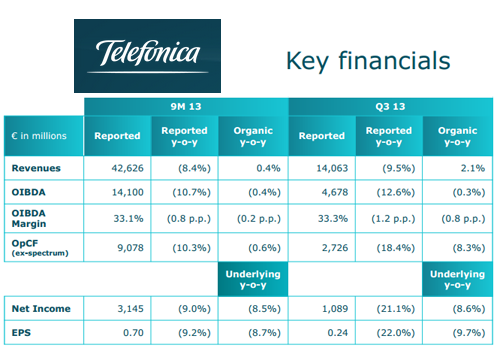 Telefónica's revenues in the first nine months of 2013 totalled 42,626 million euros, up 0.4% year-on-year in organic terms (-8.4% in reported terms), and indicating a positive change in trend compared with the first half (-0.5% year-on-year) triggered by a significant organic revenue growth acceleration in the third quarter to 2.1% (+0.5% in the second quarter and -1.6% in the first quarter). For the first nine months of 2013, Telefónica earned a net profit of 3,145 million euros and achieved its annual revenue and debt targets a quarter in advance. Telefónica Latinoamérica further accelerated year-on-year growth (+10.9% year-on-year in the third quarter; +0.6 percentage points compared with the second quarter), whilst Telefónica Europe continued its gradual improvement (+1.7 percentage points compared with the year-on-year change in the second quarter to -7.1% year-on-year). Telefónica Digital revenue grew 17.9% year-on-year in the third quarter in organic terms and including both digital services, already comprised in Telefónica Latinoamérica and Telefónica Europe regions, and subsidiaries and other businesses of Telefonica Digital new businesses. Telefónica managed 320.3 million accesses, with year-on-year growth accelerating to 2%, driven by mobile and pay TV accesses. By region, Telefónica Latinoamérica (68% of the total) maintained a strong commercial momentum, posting growth acceleration for the third quarter in a row to 4% year-on-year. Mobile accesses stood at 252.2 million, up 3%, driven by growth of the contract segment (+9% year-on-year), which now accounts for 35% of total mobile accesses. It is important to note that Latin America registered record-high net contract additions in the quarter (+79% year-on-year), further strengthening the company's leadership in the region in this segment. Mobile broadband accesses continued posting solid growth (+41% year-on-year), reaching 67.4 million in September 2013, and now accounting for 27% of mobile accesses. It should be highlighted the on-going smartphone adoption in the year, as net additions stood at 15.1 million in the first nine months (+50% year-on-year). Retail broadband accesses (18.4 million at the end of September) maintained a year-on-year growth rate of 2%. Mobile data revenues accelerated to 10.2% year-on-year in the third quarter in organic terms (+9.8% in January-September) and now account for 63% of total data revenues and 37% of mobile service revenues. Regarding LTE rollouts, Telefónica said network sharing agreements are speeding up deployments: in Brazil, agreements cover 2,300 sites in 64 cities; in UK, agreements cover 1,300 sites in 11 cities; in Germany, agreements cover > 1,000 sites in 10 metro areas. 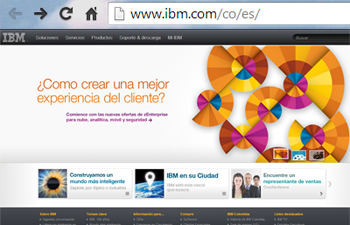 IBM opened a new data center at the Technology Campus of La Molina, Peru. 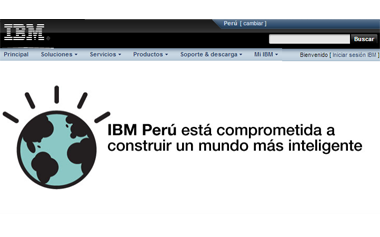 IBM said its US$8 million data center has the highest availability offered in Peru. It is the third IBM facility in the country, complementing an existing data center at the Technology Campus of La Molina and another in the district of San Isidro in Lima. IBM now has nine IT Services Centers in Brazil, Mexico, Costa Rica, Chile, Colombia, Peru and Uruguay, which provide 24/7 services. Globally, IBM has more than 400 data centers. "IBM has heavily invested in strengthening its processes, tools, analytic capabilities and skills, which are key to ensure excellence in the delivery of IT services to our customers,” said Rodolfo Armellini, IBM Peru Global Technology Services Manager. The opening of the new data center is part of IBM's commitment to Peru, where IBM has continuously operated for more than 81 years. 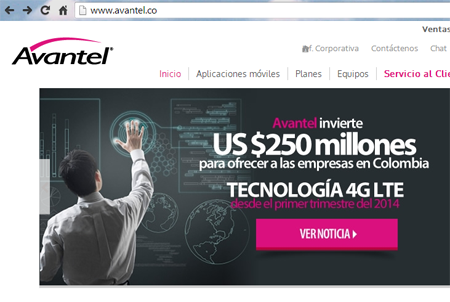 In the past 10 years, the company has invested US$38 million in Peru – including this new data center." Telefónica will expand its usage of ASSIA's DSL network management technology to cover more than eight million customer lines globally, and will initially focus on South American countries, including Argentina, Brazil, Chile, Colombia, and Peru. ASSIA is also a portfolio company of Telefónica. An initial contract was signed in 2010. 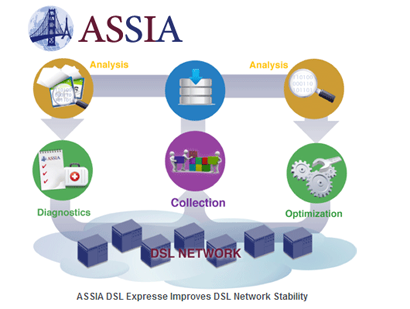 Telefónica plans to deploy ASSIA's DSL Expresse real-time line optimization module for proactive line repair, and ClearView, a customer-care recommendation engine that presents comprehensive customer line and service information to customer-care professionals through an easy-to-use interface, enabling them to provide the fastest-possible responses and resolutions to customer calls. ClearView, a state-of-the-art expert system that tracks problems to their exact source and provides clear and concise recommendations to a contact center agent or field technician to resolve a customer DSL issue immediately. Real-time line optimization, which significantly improves customer satisfaction and reduces service calls and repair costs. Support for single-ended loop test (SELT) for enhanced diagnostics, cost savings, and service delivery, such as the ability to pinpoint faults and direct dispatches to the appropriate location. Advanced micro-filter detection, which enables call-center agents to see missing micro filters on customer lines and guide the customer to easily and quickly install them. This can rapidly help solve performance problems, avoiding the need for costly, time-consuming field-technician dispatches. Power management, which reduces power consumption and costs, and can help Telefónica attain its green initiative goals. Advanced ADSL2 diagnostics that enable service personnel to address physical impairments efficiently in the copper plant.